Who doesn’t like a hot tub? 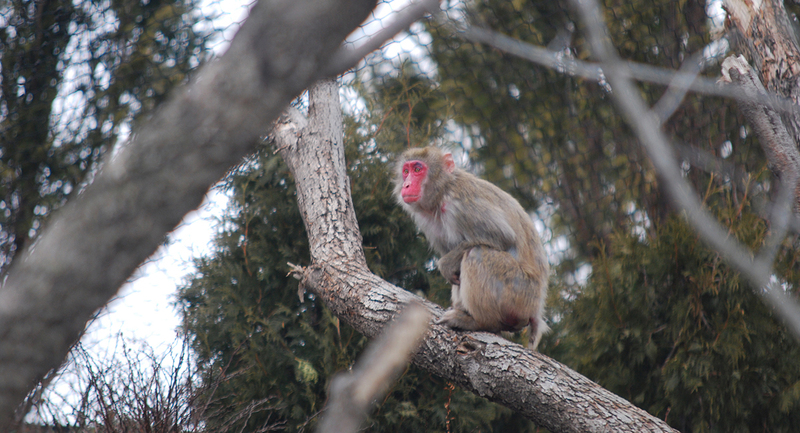 This zoo’s newest exhibit is a state-of-the-art home for Japanese macaques, or “snow monkeys” in a hillside open-air habitat where visitors and scientists can see them in action. The lively primates call, chase, play and groom one another to maintain deep social bonds. They’re active in every season, including winter when they explore snowdrifts and warm up in their very own hot spring! 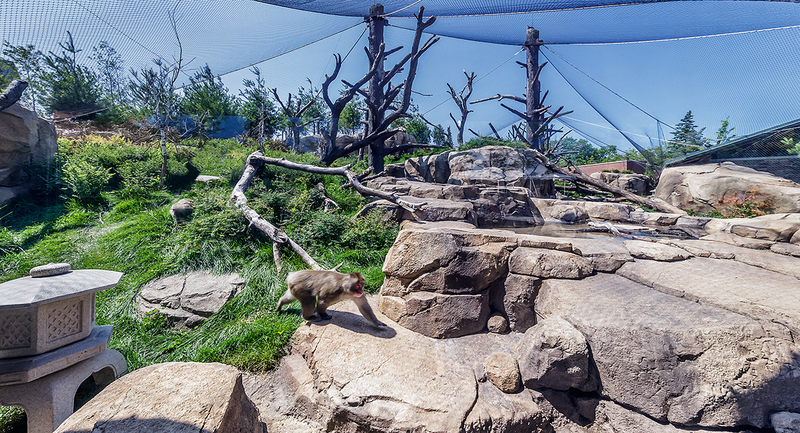 The natural environment of the open-air meshed exhibit was crafted to let the macaques demonstrate important natural behaviors, such as food washing in the stream, bathing, exploring and foraging on the ground and overhead, and shaking tree trunks in displays of dominance. 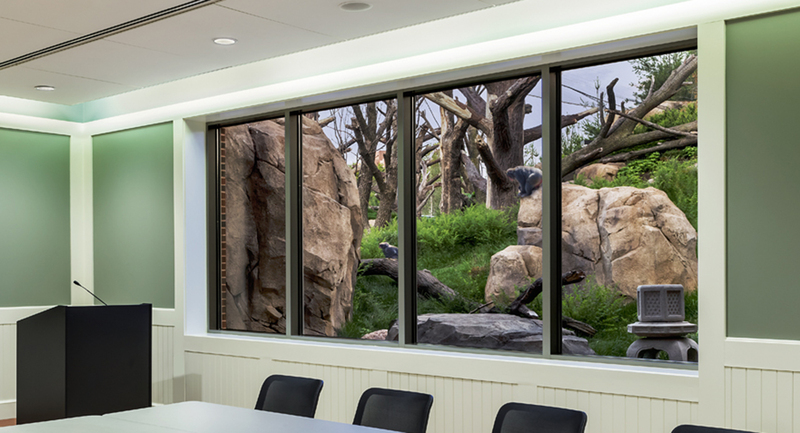 The 7,300-square-foot facility also includes a research area where primatologists and keepers can study and document the monkeys’ activity. 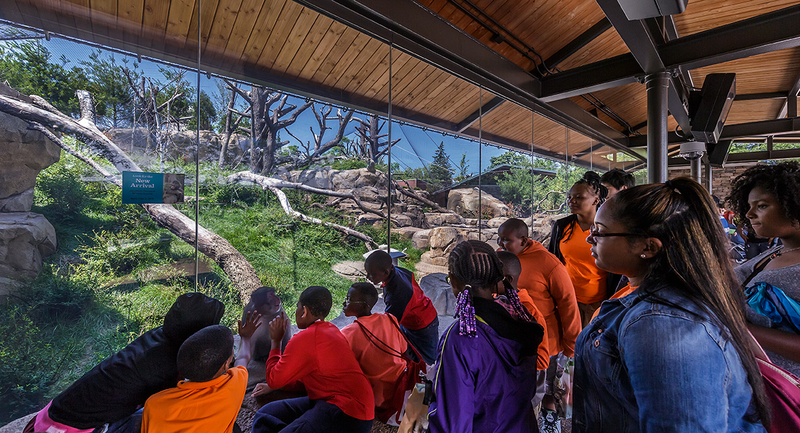 Equipped with webcams, the exhibit combines cutting edge behavioral and cognitive research with educational interpretive learning programs. 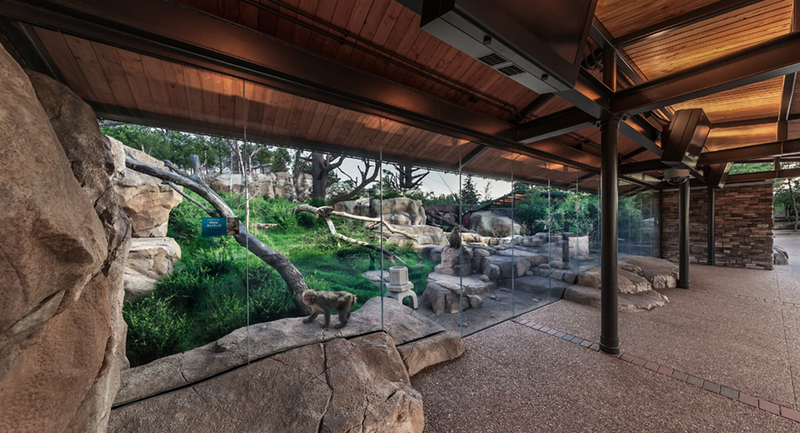 Whether live in the enclosure, on video screens, or even on a smart phone, visitors can also observe the researchers as they interact with the monkeys. Plus there’s a hidden researcher’s tunnel, nicknamed the “hobbit hole,” where researchers conduct voluntary cognitive studies with the monkeys and observe the troop’s daily activities. 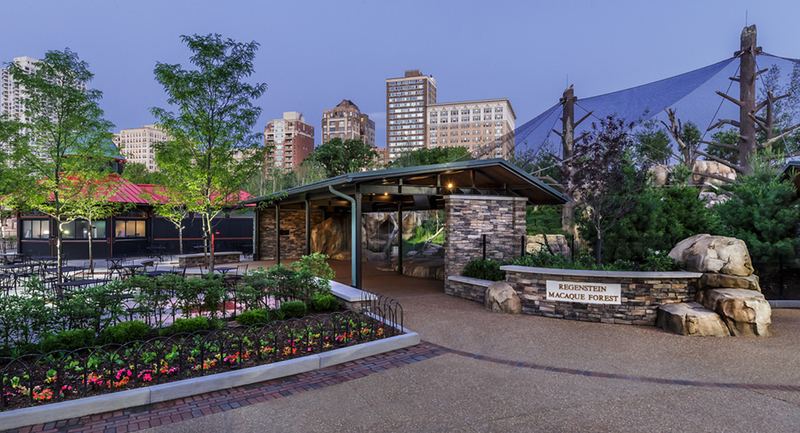 As a subconsultant to IDEA, MIG was responsible for the landscape architecture, exhibit design and netting enclosure design through construction, floor plans for the holding and viewing buildings through schematics, and the interior animal areas and detailing through construction documents and construction.